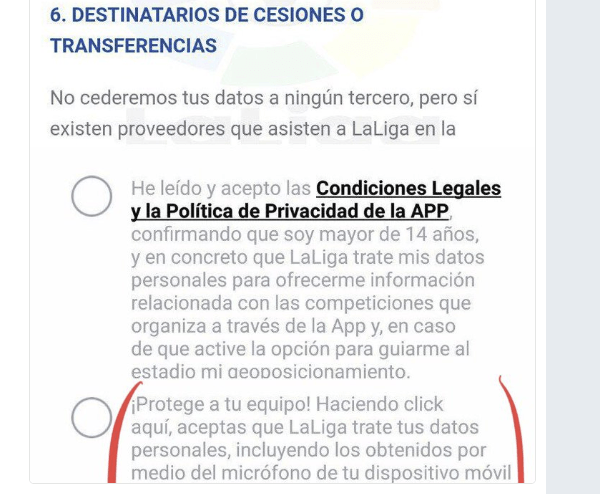 Spanish soccer league "La Liga" is using its official Android app to create an army of millions of piracy spies. The app can access microphone and location data to scan for restaurants, bars, and other establishments that broadcast their matches without a license. "Protect your team," La Liga notes, while encouraging users to enable the functionality. Even though sports streaming services are widely available in most countries, people are not always willing to pay for them. This applies to individuals, who turn to pirate sites or other unauthorized channels, but also to businesses such as bars and restaurants. The latter group is seen as a thorn in the side by many rightsholders. This includes the Spanish soccer league “La Liga,” which broadcasts some of the most viewed matches in the world. In an effort to curb this type of piracy, “La Liga” has recently started to use modern technology, and its users, to its advantage. In an unprecedented move, the soccer league has turned its official Android app into a piracy spying machine. The app in question, which has been installed by millions of users, will use the microphone and GPS readings of the devices its installed on to report possible instances of streaming piracy. 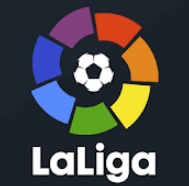 With consent from the user, the app will analyze the audio in its surroundings to check if one of La Liga’s matches is being played. It then pairs that with GPS data to see if that location is an authorized broadcaster. “Protect your team,” users read when they are prompted to enable this type of data collection. The microphone will only be activated when La Liga is broadcasting its football matches, the policy further clarifies. The spying tool was spotted by Eldiario.es, which reached out to “La Liga” for additional information. The organization states that it has to resort to these kinds of measures since piracy is resulting in losses of up to 150 million euros. It doesn’t mention how the data will be used, but establishments who broadcast their matches without consent, are warned. Users who’ve enabled the functionality but no longer want to operate as piracy spies can go into the settings of their phone to disable audio and location sharing.